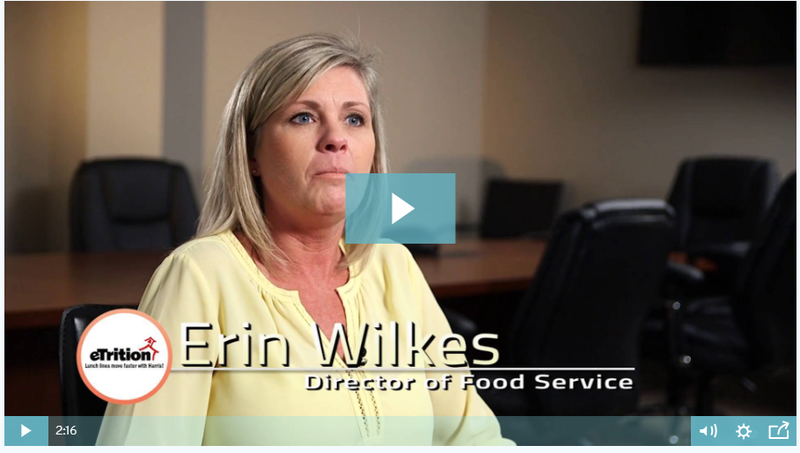 eTrition is the web-based School Nutrition software that lets you manage your entire district’s program conveniently in one system, from any location. Speed up your lines with a fast, reliable POS system that’s simple to learn and easy to use. Enjoy the convenience of working in the cloud, from anywhere, with centralized control. Save time with single-click end-of-day reporting and built-in USDA-approved nutrient analyses. Avoid errors by automating your processes. Reduce steps in data transfer with the ability to integrate with most Student Information systems. Feel confident knowing your students’ sensitive data is encrypted and 100% secure. Save money by keeping your current infrastructure and platform to avoid costly equipment purchases during implementation. Pick your own processes by configuring the module-based system to the unique needs of your program and employees, all with our hands-on guidance. All the modules in eTrition integrate with one another, allowing for fewer keystrokes and steps in your daily processes. The result? Your lunch lines move faster, your students are happier, and your team is better. Plus — eTrition is USDA-approved for use in certification of compliance with lunch meal requirements, as well as nutrient analyses required in the school meal programs. Intuitive dashboard that shows real-time snapshots of key analytics and information. Stay organized, work faster, and make the smartest decisions. 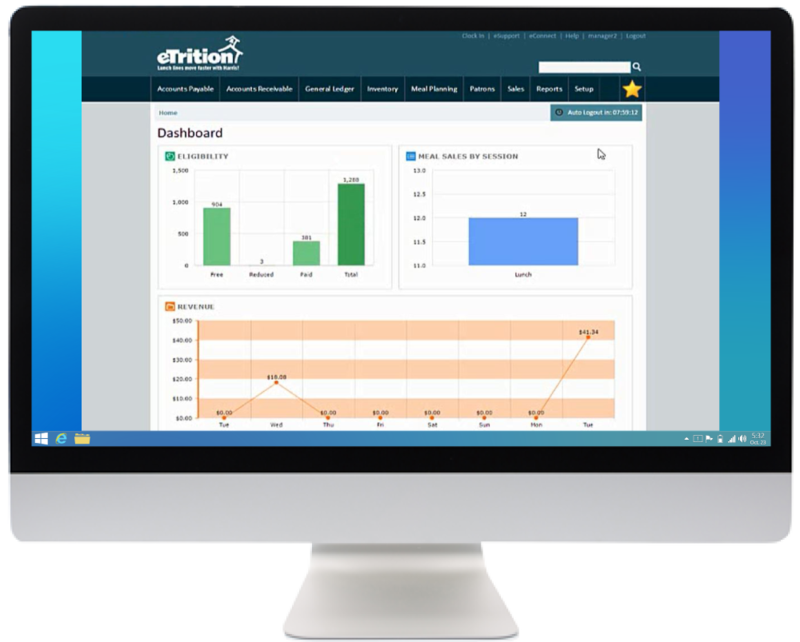 eTrition now offers enhanced dashboards that put all the information you need right at your fingertips. Plus: Integrated with GL to record payments made, payables, expenses, and more! Plus: Integrates with Co-Op purchasing for new-cost and vendor-information updates! Plus: Integrated with GL to record payments received, receivables, sales tax payable, and more!